An official dinner has been served today on behalf of the Armenian Prime Minister Nikol Pashinyan in the honor of Prime Minister of Canada Justin Trudeau. 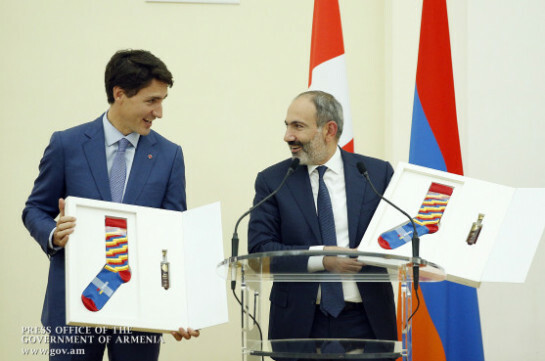 The prime ministers of the two countries delivered toasts during which Pashinyan presented socks to Trudeau. “I was thinking what Mr Trudeau is known for, what I am known for, how can I compete with our dear Prime Minister? I think, I am known for my selfies and Mr Trudeau for his socks. There is a company in Armenia which decided to do a special gift to us, with it, may be, laying a ground for a good friendship. 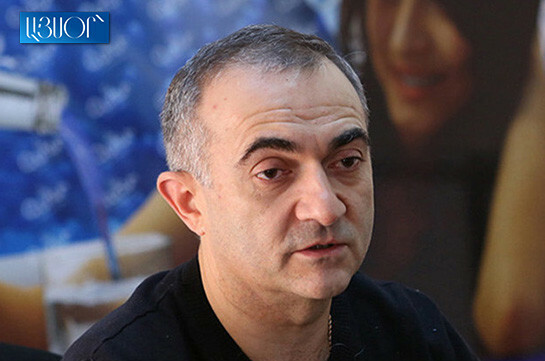 One of these socks is mine and the other, Mr Prime Minister, is Yours,” Pashinyan said, handing the gift.